Belmopan. April 25, 2017. The Minister of Defence Hon. 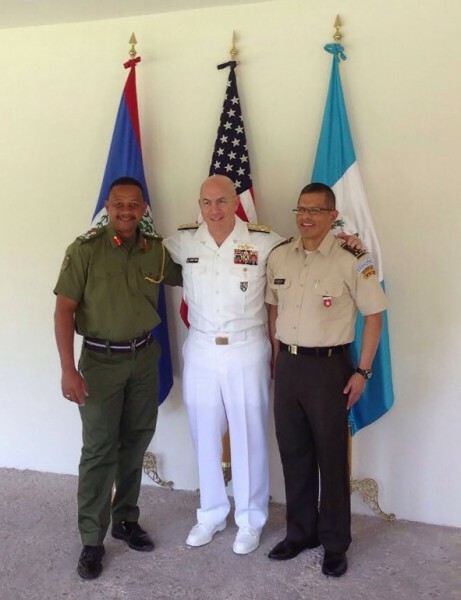 John Saldivar along with the Commander of the Belize Defence Force BGEN David Jones and Commandant of the Belize Coast Guard RADM John Borland are attending the 2017 Central American Security Conference (CENTSEC) in Cozumel, Quintana Roo, Mexico. The conference, co-hosted by the United States and Mexico, brought chiefs of defense and ministers of defense from Central America, plus observers from Canada, Chile, Colombia, the Dominican Republic and Great Britain. Panama and Costa Rica sent public security representatives. The conference is being held under the theme “COOPERATION INITIATIVES TO STRENGTHEN REGIONAL SECURITY”. 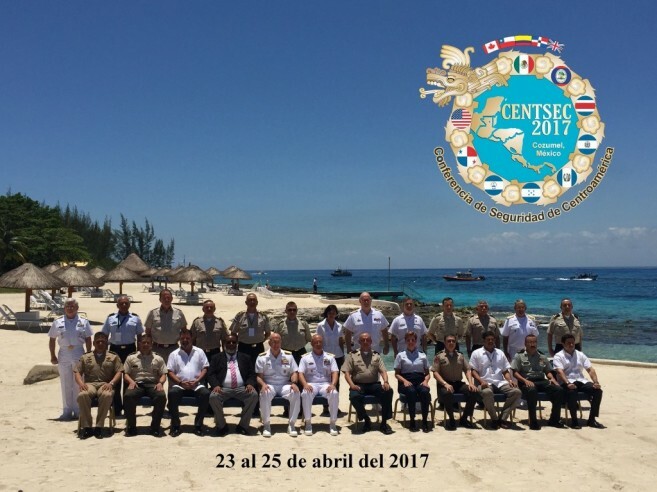 The aim of CENTSEC 2017 is to analyze current security threats within the Central American region and to establish the views and roles of the participating countries. - To identify obstacles to regional security and strengthen efforts of cooperation that will overcome them. Over the conference period the opportunity was taken for yet another tri-partite meeting between BDF Commander BGEN Jones, Guatemalan Chief of Defence Staff General Carlos Eduardo Perez and Commander SOUTHCOM Navy Admiral Curt Tidd to discuss the ongoing cooperation between Belizean and Guatemalan armed Forces along our shared borders.